We’re holding a special event this Saturday, 20 May, for anyone interested in buying a home at one of our three new developments. Our partner Kier Living will also be attending to discuss the 47 homes available for open market sale at Southern Gate – Phase 3 of the North Prospect regeneration. Porsham Heights, in Southway will have 23 shared ownership homes available and Primrose Park, which will boast a further 25 shared ownership homes for sale. Primrose Park is our development in Whitleigh, where you will find low energy, high comfort homes built to Passivhaus standards. We’ll be handing out information about shared ownership homes coming up at all three developments. Visitors will be able to see images, floor plans, site plans and house prices, and will have the chance to ask us questions about individual homes. The event takes place at our headquarters, Plumer House, in Tailyour Road, Crownhill from 10am to 2pm. 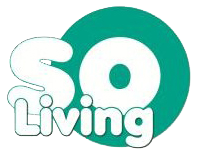 SO Living and Kier Living will be offering an incentive on the day of the event. You can sign up for a Golden Ticket which will entitle you to free carpets if you reserve your new home at the next sales launch events for each development. Terms and conditions apply. If you would like more information about Saturday’s event, please call 0800 077 8748 and speak to our sales team. This event is one way we’re showing support for the National Housing Federation’s Working Together for Great Homes campaign. The campaign aims to put housebuilding on the General Election agenda and shows that we’re ready and able to step up to the challenge of building more homes.